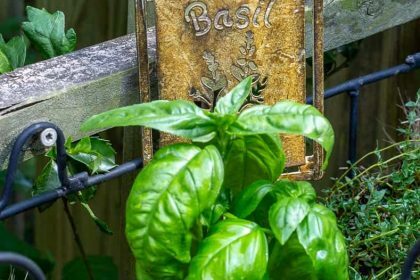 Herbs are one of my favorite things to grow in my garden. 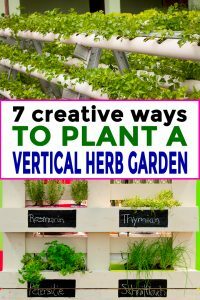 Since I’m always looking for ways to grow more plants, I’ve been looking into vertical garden ideas (like these DIY vertical flower gardens), and I think these vertical herb garden ideas will help me create a new vertical herb planter for my backyard. 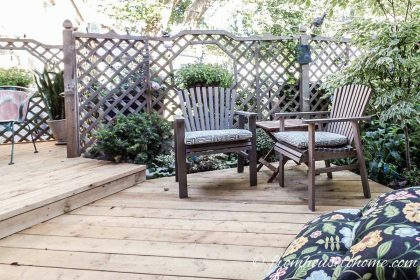 For this year’s One Room Challenge makeover, I have decided to update the deck area in my backyard. (If you’re not sure what the One Room Challenge is and want to know more, you can find out more about it here). One of the issues I have with my current space is that the DIY herb garden I built a number of years ago is falling apart. Plus, it’s not big enough to hold all of the herbs and vegetables I want to grow. As part of the renovation, I want to build new one…that doesn’t take up too much space…but still has lots of room to grow. So I think a vertical herb and vegetable garden is the perfect solution. 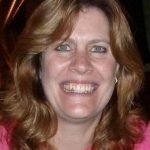 I’ve been doing some research to come up with vertical herb garden ideas that might work, and thought I would share what I’ve found. 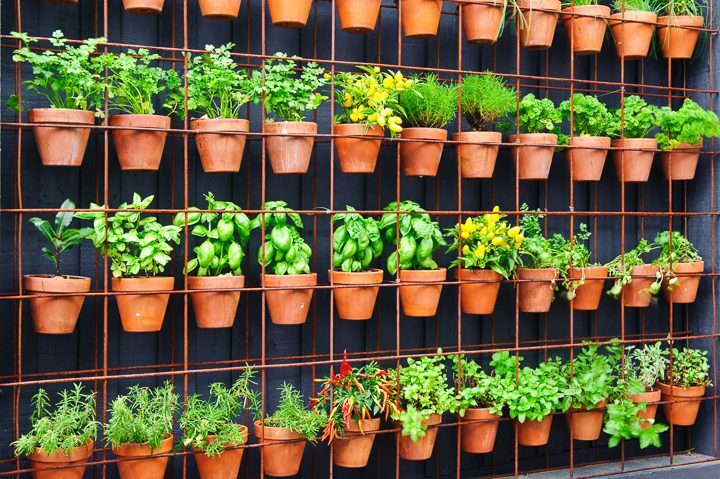 The first of my vertical herb garden ideas is to grow herbs in pots by attaching them to a fence or screen. However, this would definitely require an automated watering solution to keep these small pots from drying out. Installing rows of gutters and using them as planters is the next one of my vertical herb and vegetable garden ideas. 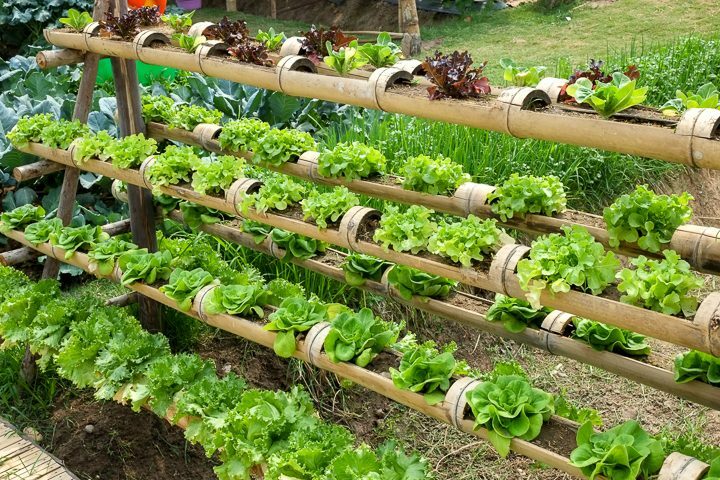 The gutters are easy to hang on a fence or some posts and are the perfect size to hold lots of herbs or smaller vegetables like lettuce. Water should be able to flow along the gutter so watering should be a little easier. 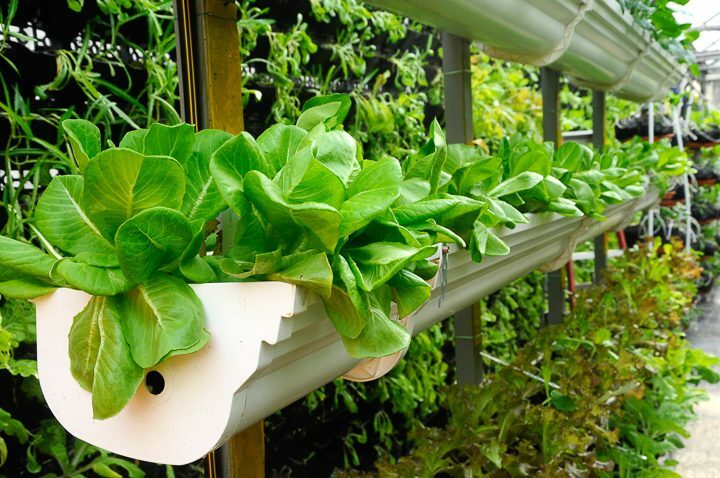 Especially if you hang them on a slight slant and drilled holes in the ends so the excess water would flow down to the next level. 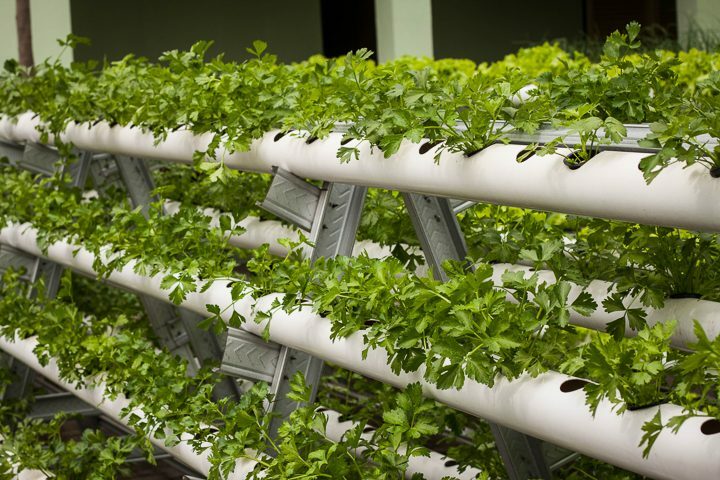 A similar idea which would probably cost less is to create a vertical herb gardening from plumbing pipe. Drill plant-sized holes in 4″ plumbing pipe. Then fill the tube with soil and plant your herbs or small vegetables (like lettuce). Make sure to also drill small drainage holes in the bottom of the tubes to let the water flow through. 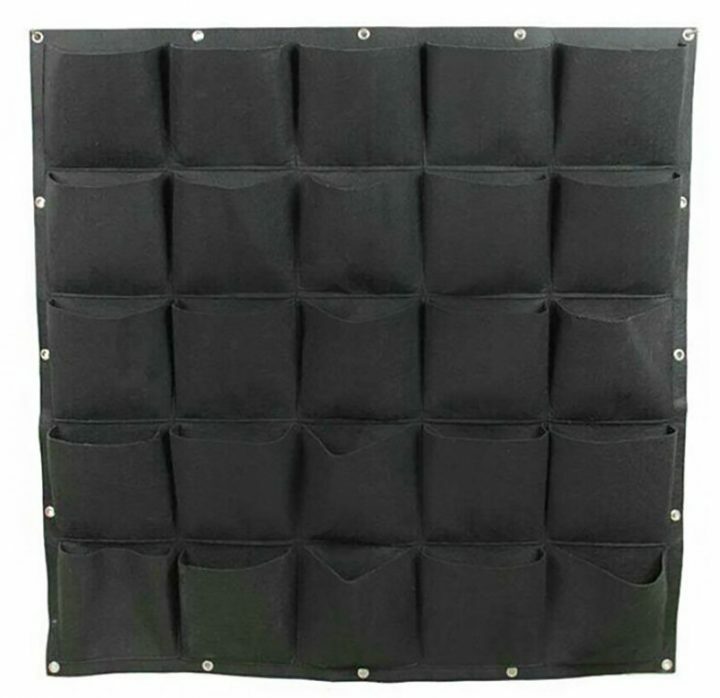 You could install these on a V-shaped stand like this one or hang them on your fence. Using large bamboo stalks as planters is another creative idea for creating a vertical herb garden. 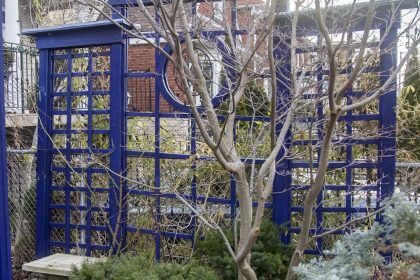 It is shaped a lot like the plumbing pipe vertical garden above, but has a more natural look to it, which might fit in with your garden a bit better. 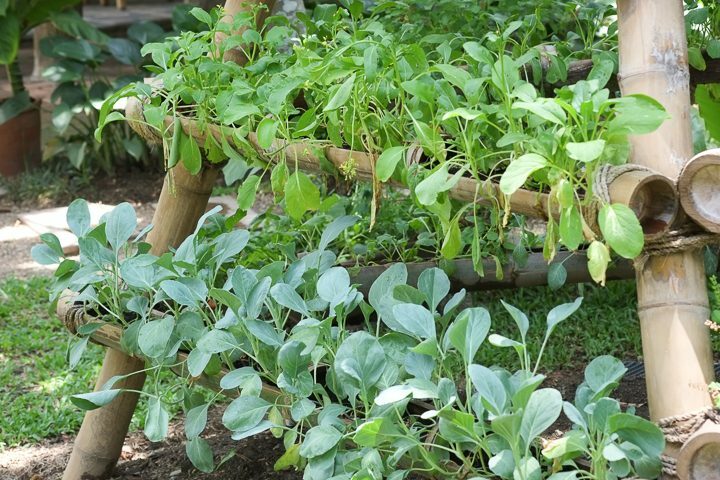 For a more compact version, you can also make a triangular bamboo trellis to grow your herbs in. 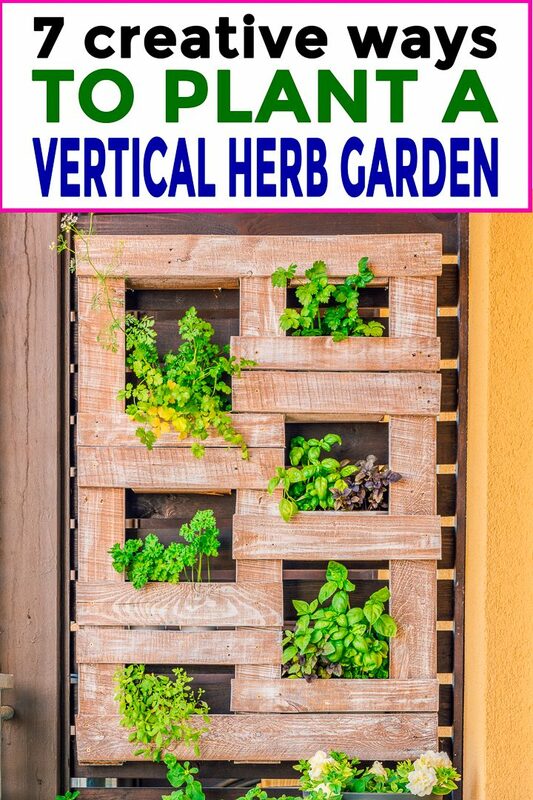 Pallets are very popular these days, and this customized vertical herb garden is a great way to take advantage of them. Cutting out sections of the wood to suit different sized plants makes a lot of sense functionally and also looks interesting. You could either keep the plants in small pots that are installed inside the pallet (perfect for indoor herb gardens!) 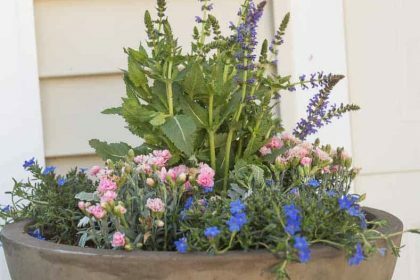 Or close off the bottom of each section and fill it directly with soil. While this isn’t technically a way to plant a vertical herb garden, I think this idea would work for whatever solution you choose. Paint the section below each plant with chalkboard paint*. Then you can label which herb or vegetable you are growing where. And change the labels if you plant something new. Using chalk markers* instead of regular chalk is probably a good idea to keep it from getting washed off. 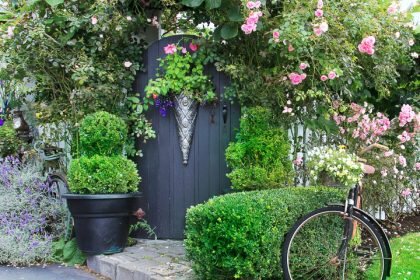 Of course, if you don’t feel like making your own vertical herb garden, there are lots of options for buying one. 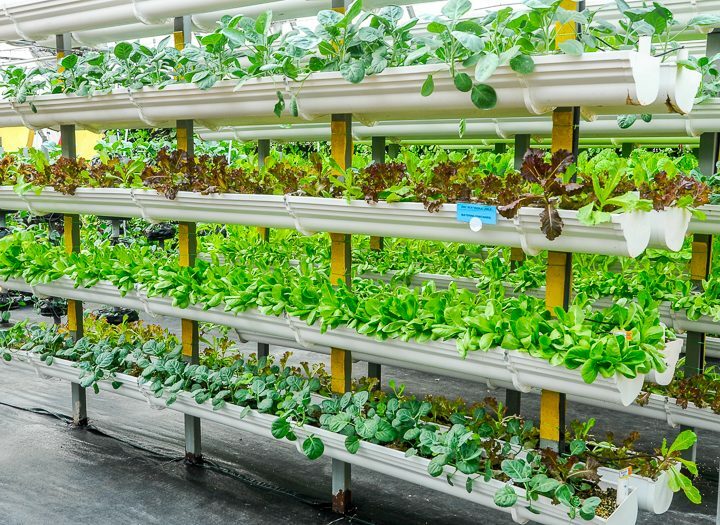 This one* has a self-watering system, which means it stores the water so you don’t have to water as often. 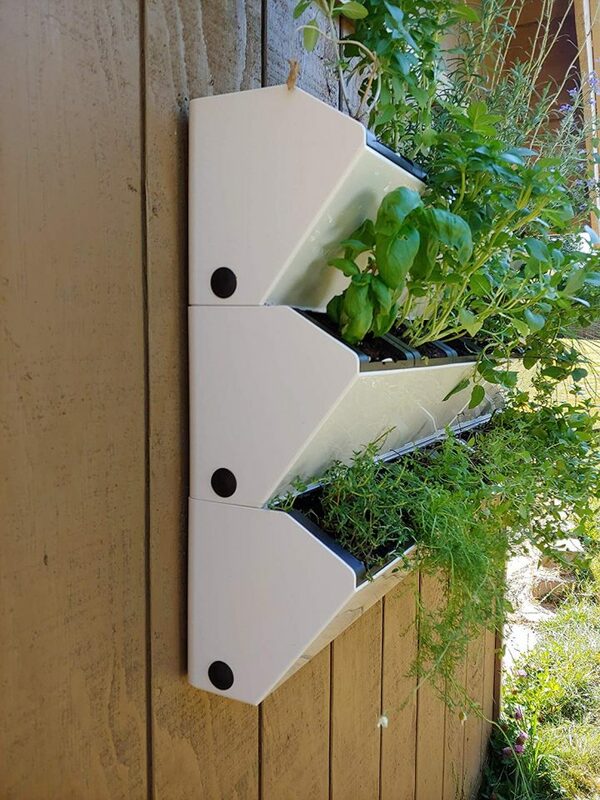 This fabric pocket vertical herb planter* is an inexpensive and easy way to start growing herbs. Just hang it on a fence and fill the pockets up with soil. Then you’re ready to start planting. Just make sure to keep your watering can handy if you live in an area with hot summers. You’ll probably need to water every day. 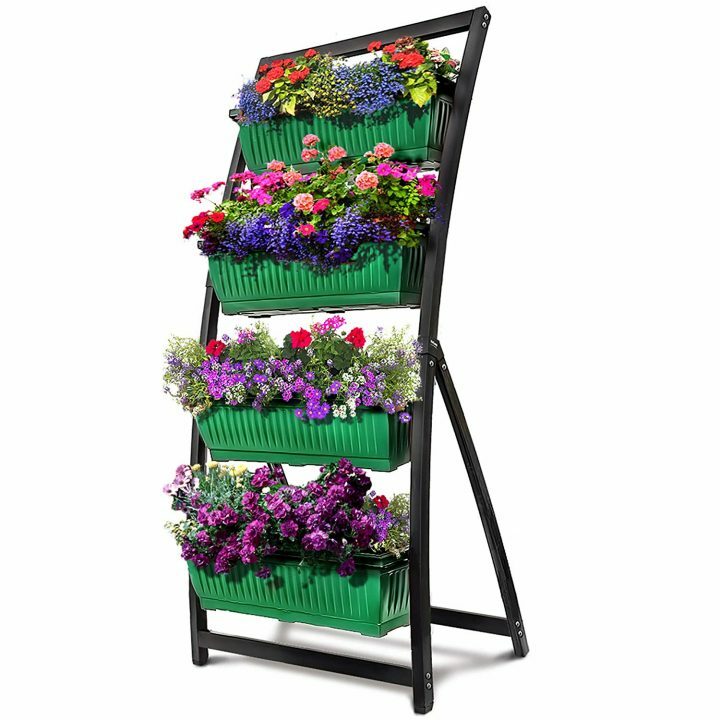 If you don’t have a place to hang up your vertical herb garden, a free standing version may be what you’re looking for. This one* lets the water from the top box cascade down to the other ones so you aren’t wasting any. 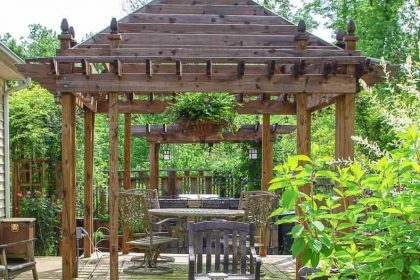 Stay tuned to find out which idea(s) I’m going to use for my backyard makeover! 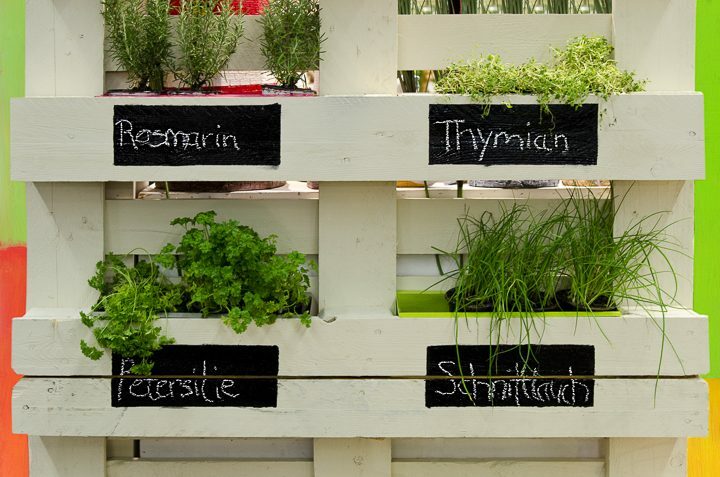 And hopefully, you’ve found some inspiration for your own vertical herb garden. 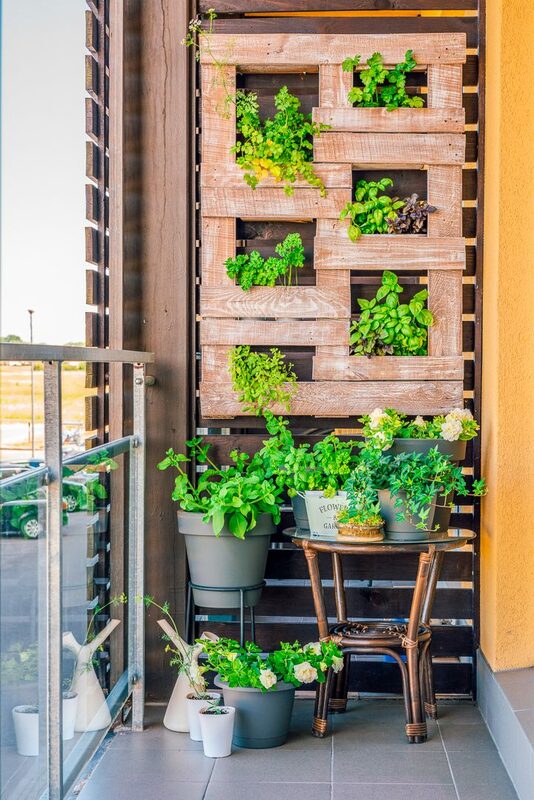 Have comments or questions on our vertical herb garden ideas? Tell us in the section below.